After three years of waiting, Steve Perlman has unveiled his prototype called DIDO, a technology that could do away with wireless network congestion, according to Bloomberg. This technology would give each smart phone and tablet its own super-fast connection rather than asking these devices to share bandwidth with a cell tower. Bloomberg reported that, “Perlman bills the wireless system as basically the successor to LTE, the current high-speed wireless technology. In demonstrations at his laboratory, Perlman showed off iPhones, Surface tablets, and TVs streaming massive files—the 4K UltraHD version of House of Cards from Netflix, for example—via his own wireless networking equipment. 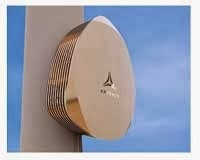 The demonstration proved not only that the high-speed wireless technology worked but also that it would work with existing devices that support LTE.” There is, however, a problem that Perlman is trying to solve and it deals with current wireless networks. Continue reading here. Jay Panozzo: Doing it all! 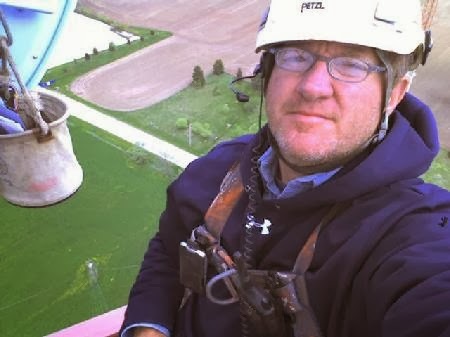 Jay Panozzo, President of MidAmerica Towers, Inc., does it all—from running a corporation, owning 39 towers, overseeing job sites, to climbing towers. Jay’s passion for the industry really shows how much dedication it takes to work in this field. Jay started working in the industry in 1982 for Andrew Corporation. “It was a pretty good time because MCI had just beat AT&T in the court system and that’s when MCI, Sprint, WPCI, and several other companies got carrier licenses to build microwave antenna systems. They all needed the products that the company I worked for supplied and tower climbers were in high demand, as they are today,” Jay said. Continue reading here. Cisco Systems released a forecast this week noting that the volume of data crossing U.S. mobile networks will grow almost eight-fold by 2018, and demand for Internet-connected devices will also skyrocket. U.S. consumers will download and upload more data on their smartphones in 2018 than they did on their laptops in 2013, according to a forecast by Cisco Systems Inc. Continue reading here. NATE decided to give their annual conference a brand new look this year, calling it NATE UNITE 2014 rather than the NATE Conference and Exhibition. According to Todd Schlekeway, Executive Director at NATE, “The rebranding took on a lot of areas. We have three tracks of educational sessions throughout the conference. We have a technical track, a leadership track, and we added an administrative track. So there’s more educational sessions and panel sessions for attendees to choose from. We’ve added more courses for tower technicians to take while they’re at the show and gain certification.” Their rebranding effort has paid off because NATE’s pre-registration numbers are up from last year, the number of show sponsors is up, and their exhibit hall is completely sold out. NATE is working closely with the California Wireless Association, who will be co-hosting the opening reception and conducting several panel sessions. “This fits in with the work we’re doing with more state wireless associations and the work we’re doing with the wireless industry safety task force. It’s a really exciting time for NATE. We feel like as busy as the industry is this is a golden opportunity for us to attract more companies,” Schlekeway shared. If you have been in the tower industry for even the smallest amount of time, you have seen the articles entitled “Parents Oppose Tower at School” or “Towers at Schools Should be Denied.” The concern here may be real, but the alternative to a lack of wireless infrastructure at schools may be deadly. USA Today compiled a piece entitled “Behind the Bloodshed: Mass Killings Happen About Every Two Weeks.” While this is a terrifying statistic, the article reported that the FBI counted 172 cases of mass killings between 2006 and 2011. Everyone can agree that these incidents are tragic, terrifying, and heartbreaking, but there may be a way to reduce the harm done in these situations. Continue reading here.